An All Female Jazz Camp - What gives? It's got everything but Jack Black. But there's no complaints from the students of this "School of Rock." The kids are too busy deciding which instrument to play. It's "Rock Camp," part of the Vallejo Community Arts Foundation's Summer Arts program at Step-Up music center downtown. And, said Step-Up's Ariane Cap, they're having a blast. "We're introducing kids to making music," Cap said. "And having fun doing it." There are 13 instructors teaching piano, drums, bass, vocals, sax, clarinet, flute and guitar. And Cap is awed by the experience. "I get to share in their world," Cap said. "The amazement, the excitement, the struggle, the sense of possibility." The daily, 9 to noon camp allows students to try out all the different instruments of a rock band, Cap said, "and sing on the microphones. Every day features a different instrument. It's all about touching and trying and having an experience with music." The camp goes beyond individual performance, Cap said. "We learn about ensemble playing and what it's like to be in a band," she said. "We make them feel like rock stars with costumes, photo shoots, even interviews. And have them show off their skills on a real stage at a concert." There are two groups of camp rockers age 7 to 11, Cap said. "We recommend this class in situations where the child is not sure which instrument to pick for private lessons," Cap said. "I tell the parents, 'Before you clear out your garage for a drum kit or buy other instruments or amps, put your children into a round of rock camp.'" When the child tries each instrument, "they get a much better sense of what they really want to play," Cap said. "Over the years, I have become quite good at spotting what position in the band the little personalities are revealing to be best suited for." At this age, talent "is overrated," Cap said. "What is important is if the child reacts to music. Does he or she point to musical instruments, start dancing when music is played, get mesmerized when watching a musician? Do the older ones listen to music? Those are great indicators that music lessons with a good teacher will be put to good use." For more information, visit stepupmusicvallejo.com or call (707) 647-3050. 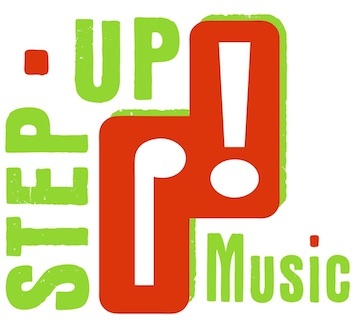 Ariane Cap teaches a school of rock at Step-Up Music in Vallejo. (c) 2011 Times-Herald. All rights reserved. Reproduced with the permission of Media NewsGroup, Inc. by NewsBank, Inc.